Can never complain when what would be a typical weekday evening involves getting a good look at a quality range of woodworking tools. I recently mentioned Carbatec’s Robert Sorby tour around each of their stores across Australia. Along with texturing tools, the Excelsior chisels, and got the chatter tool demonstrated, as I was curious to see that in action. I’m enjoying these presentation evenings at Carbatec – been to a couple recently (this one, and the Powermatic launch), hope for more to come. While some people get along to the weekend days, I like the exclusive atmosphere of an evening weekday presentation, and really focus in on a particular product. The Sorby range is well known as a quality range, but it is always better getting to see them in operation first hand. Carbatec are currently conducting a Robert Sorby tour around each of their stores across Australia. Should be an interesting evening! Follow the link to see specific dates, and to book into one of the (free) sessions. Not sure what they will be showing – turning tools for sure, perhaps some of the specialist ones (chatter tools, spiral texture tools), but hopefully some of the interesting chucks as well – eccentric chucks, modular tool rest etc. Perhaps some of their non-turning tools? Don’t know – looking forward to finding out! Might have to leave the credit card at home – sounds ‘dangerous’! Especially if they show that cutting threads is easier than I imagine. 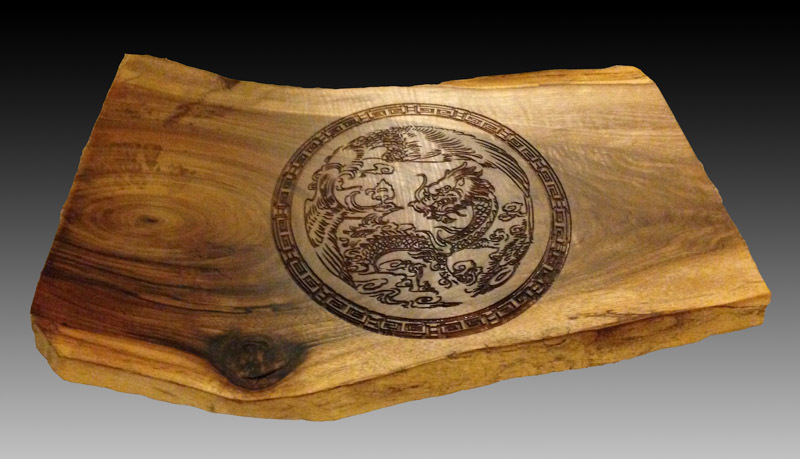 One of the family friends does woodcarving on the side, and had a job dropped onto him at the last minute. So we decided to get the CNC Shark to do some of the heavy lifting. 6 shields, by tomorrow! Not a problem. 2 hours later and they were done. I suggested that he follow Dennis’ lead, and use a resin filler – makes the designs really pop. Anyway, it was a bit of a distraction, but at least sawdust was being made (and even the Festool ETS 150/5 made an appearance). Slowly a sense of normalcy is returning to the shed space. Unsurprisingly, I have begun mentally (mostly) dusting off some of my machines, reconsidering their place in my workshop (and not just where they will go, but whether they belong). For the most part, they will simply translate from the old workshop to the new, but in some cases, I haven’t been 100% content, and these will receive closer scrutiny. 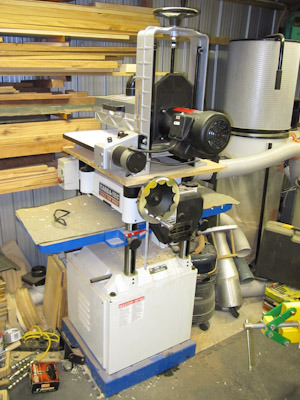 One of these machines is the drum sander. 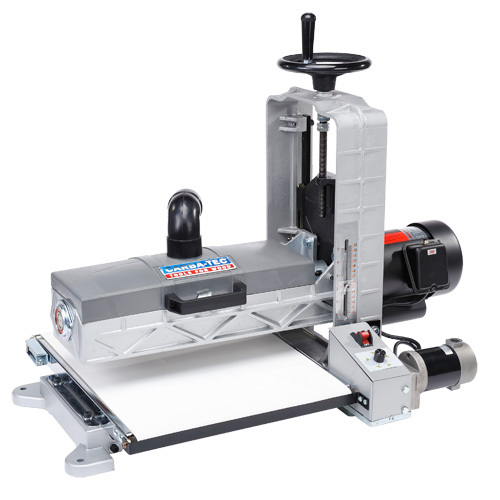 Now I don’t have the most expensive drum sander on the market. Actually (excluding home-made versions), I think I probably have the cheapest. Even so, at $840, it isn’t an afterthought either. I can buy a cheap cast iron tablesaw for that sort of money, so you’d expect a lot to be packed into a small package at that price. 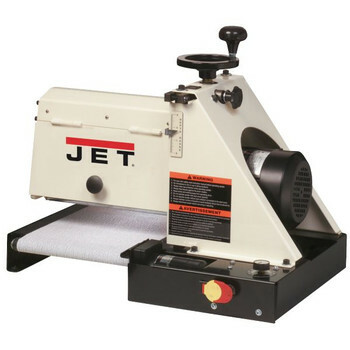 I’m not denying that the drum sander isn’t a useful tool – having had one for a few years now (over 4), I have put quite a bit through it, and have found it does work pretty well. It could be improved, and I’ll get to that in a second. Firstly, location. Since having it in my workshop, I have had it perched on top of my thicknesser. A bit higher than desirable, but still workable, and as both machines had similar requirements for infeed and outfeed, it proved a pretty good space saver. This only works if your thicknesser is the larger version, with a fixed head and rising and falling table. 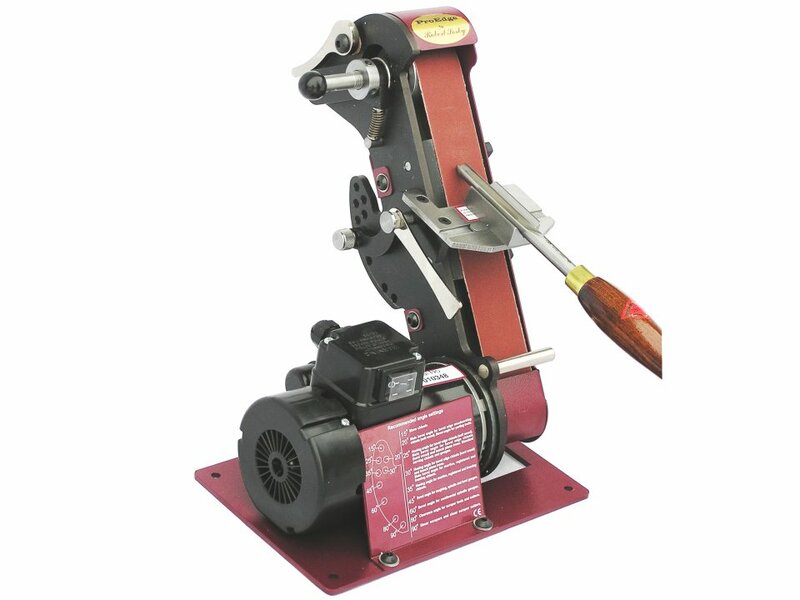 Otherwise you’d be lifting the weight of the motor and thicknesser head, and the drum sander combined! However, it is time it got its own stand. There is one made for this unit, and although I am not a fan of bolt-together pieces of angle iron as a commercial solution, for $70 it wasn’t too pricey, and it ended up proving to be a pretty robust design, so I can live with that. The space underneath isn’t going to be wasted either – just have to make a storage unit that fits. The next issue is the method by which the paper is secured. 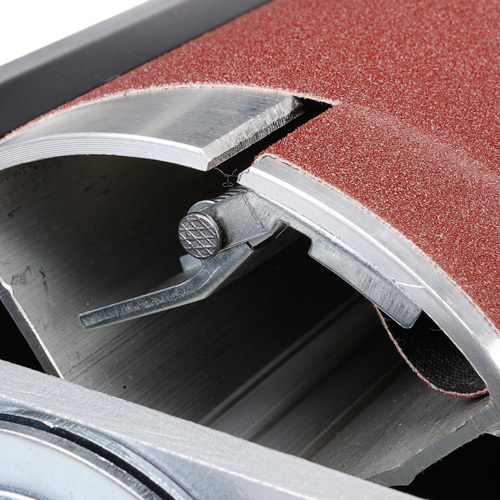 At the free end, it is pretty straightforward – a springloaded clip that holds the paper against the underside of the drum. It is the other end that has been bugging me recently. I just have not been able to get the paper to secure. Initially, I had a look at the clamp at the other end, and it didn’t push against the drum – that was a concern – what had gone wrong with the clamp? A stop into Carbatec to look at their display machine, and it was the same – the paper does not get held against anything, it is just a bit of a torturous path to hold it in place. So it is the length of the sandpaper which is the problem – the piece I have is too short. Must be old stock or something – and the supplier was scrimping on the length of paper supplied. Now I have had a close look at the clamping arrangements, I’ll cut my own to be longer, and see if I cannot get it resolved. Guess there is no way around this really – have the correct feedrate for the timber and the grit, take lighter passes, and good dust extraction. The large oscillating Jet may not have such a problem, but otherwise I’d expect this would be a pretty typical complaint? The final area that I looked at is the one where the most criticisms are leveled at this machine. The amount of flex in the head. If you lift the open end, you can detect some movement relative to the bed. 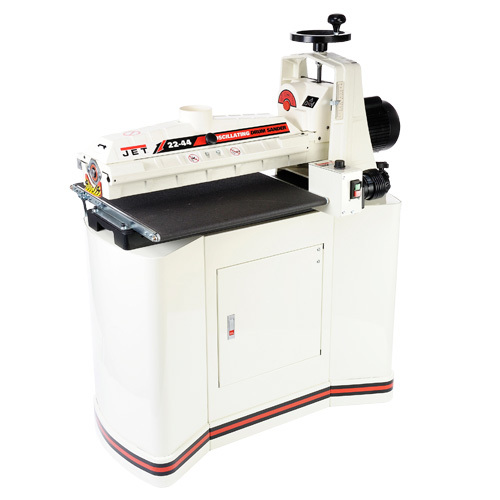 In operation, this equates to the machine not operating the drum parallel to the bed, and therefore creating a wedge shape, rather than simply making the board thinner. 4. finishing passes by not adjusting the height, and feeding the work through a few times, each time therefore becomes a lighter and lighter pass, with less and less deflection. 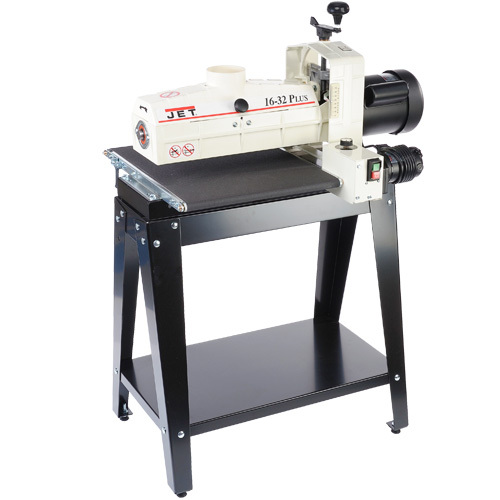 While in Carbatec looking at the clamping system, I also spent some time comparing this drum sander to the three Jet models. There were some interesting outcomes. Not only is the drum quite short (and therefore not a lot of length to load up for deflection, but note how far apart the two bolts are holding the upper structure to the base. It is a good amount of area resisting any rotation of the head around that joint. Not sure if this is exactly the one looked at (wasn’t looking at the stand! ), but the main point of difference here was a cast iron base which the head is attached to with a wide attachment area. Very hard to get any movement here! This had less movement than the Carbatec model, but still significantly more than the other two. The bolts attaching the head to the base are quite close together, and the base is angle iron, not cast. And there is movement. The Carbatec model looks to all be cast, but the main members of the base are angle iron. Furthermore, the bolts attaching the head to the base are very close together. Add these together, plus what flex there is in the attachment bolts and the cast iron, and there is deflection. If the attachment point could be reinforced, and the attachment bolts (both at that junction, and where the head connects to the height riser) were replaced with high tensile bolts, I may not be able to eliminate all the flex, but I bet I could significantly decrease it. A mini project to work on!